The free ferry from Brooklyn leaves from Pier 6 in Brooklyn Bridge Park, located at the foot of Atlantic Avenue (corner of Columbia Street). 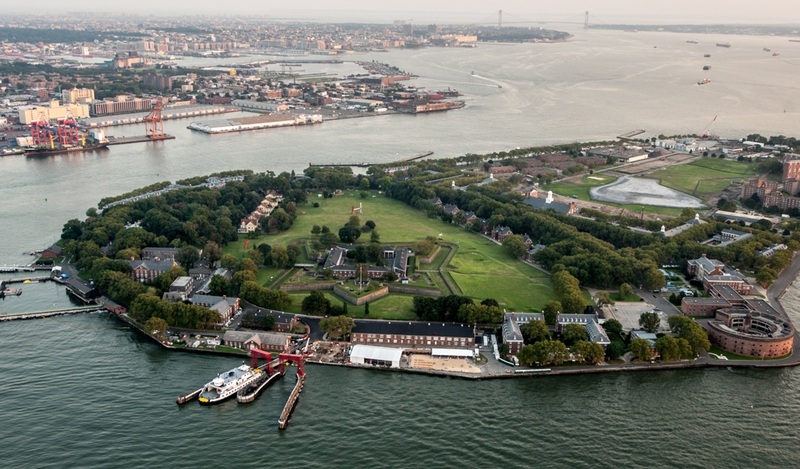 Rite of Summer concerts take place at Nolan Park, a few minutes walk from the Manhattan or Brooklyn ferry terminals. Exit the Manhattan ferry to the left and the Brooklyn ferry to the right. If the concert is scheduled for Colonels Row follow signs into the center of the island.